This article is about the city in Texas. For the metropolitan area, see Greater San Antonio. For other uses, see San Antonio (disambiguation). San Antonio (/ˌsæn ænˈtoʊnioʊ/; from Spanish, "Saint Anthony"), officially the City of San Antonio, is the seventh-most populous city in the United States, and the second-most populous city in both Texas and the Southern United States, with more than 1.5 million residents. Founded as a Spanish mission and colonial outpost in 1718, the city became the first chartered civil settlement in present-day Texas in 1731. The area was still part of the Spanish Empire, and later of the Mexican Republic. Today it is the state's oldest municipality. The city's deep history is contrasted with its rapid recent growth during the past few decades. It was the fastest-growing of the top ten largest cities in the United States from 2000 to 2010, and the second from 1990 to 2000. Straddling the regional divide between South and Central Texas, San Antonio anchors the southwestern corner of an urban megaregion colloquially known as the "Texas Triangle". San Antonio serves as the seat of Bexar County; recent annexations have extended the city's boundaries into Medina County and, for a tiny area near the city of Garden Ridge, into Comal County. Since San Antonio was founded during the Spanish Colonial Era, it has a church (San Fernando Cathedral) in its center, on the main civic plaza in front, a characteristic of many Spanish-founded cities, towns, and villages in Spain and Latin America. As with many other urban centers in the Southwestern United States, areas outside the city limits are sparsely populated. San Antonio is the center of the San Antonio–New Braunfels metropolitan statistical area. Commonly called Greater San Antonio, the metro area has a population of 2,473,974 based on the 2017 U.S. census estimate, making it the 24th-largest metropolitan area in the United States and third-largest in Texas. Growth along the Interstate 35 and Interstate 10 corridors to the north, west and east make it likely that the metropolitan area will continue to expand. San Antonio was named by a 1691 Spanish expedition for Saint Anthony of Padua, whose feast day is June 13. The city contains five 18th-century Spanish frontier missions, including The Alamo and San Antonio Missions National Historical Park, which together were designated UNESCO World Heritage sites in 2015. Other notable attractions include the River Walk, the Tower of the Americas, SeaWorld, the Alamo Bowl, and Marriage Island. Commercial entertainment includes Six Flags Fiesta Texas and Morgan's Wonderland amusement parks. According to the San Antonio Convention and Visitors Bureau, the city is visited by about 32 million tourists a year. It is home to the five-time NBA champion San Antonio Spurs, and hosts the annual San Antonio Stock Show & Rodeo, one of the largest such events in the U.S. The U.S. Armed Forces have numerous facilities in and around San Antonio; Fort Sam Houston is the only one within the city limits. Lackland Air Force Base, Randolph Air Force Base, Lackland AFB/Kelly Field Annex, Camp Bullis, and Camp Stanley are outside the city limits. Kelly Air Force Base operated out of San Antonio until 2001, when the airfield was transferred to Lackland AFB. The remaining parts of the base were developed as Port San Antonio, an industrial/business park and aerospace complex. San Antonio is home to six Fortune 500 companies and the South Texas Medical Center, the only medical research and care provider in the South Texas region. At the time of European encounter, Payaya Indians lived near the San Antonio River Valley in the San Pedro Springs area. They called the vicinity Yanaguana, meaning "refreshing waters". In 1691, a group of Spanish explorers and missionaries came upon the river and Payaya settlement on June 13, the feast day of St. Anthony of Padua. They named the place and river "San Antonio" in his honor. It was years before any Spanish settlement took place. Father Antonio de Olivares visited the site in 1709, and he was determined to found a mission and civilian settlement there. The viceroy gave formal approval for a combined mission and presidio in late 1716, as he wanted to forestall any French expansion into the area from their colony of La Louisiane to the east, as well as prevent illegal trading with the Payaya. He directed Martín de Alarcón, the governor of Coahuila y Tejas, to establish the mission complex. Differences between Alarcón and Olivares resulted in delays, and construction did not start until 1718. Olivares built, with the help of the Payaya Indians, the Misión de San Antonio de Valero (The Alamo), the Presidio San Antonio de Bexar, the bridge that connected both, and the Acequia Madre de Valero. The families who clustered around the presidio and mission were the start of Villa de Béjar, destined to become the most important town in Spanish Texas. On May 1, the governor transferred ownership of the Mission San Antonio de Valero (later famous as The Alamo) to Fray Antonio de Olivares. On May 5, 1718 he commissioned the Presidio San Antonio de Béxar ("Béjar" in modern Spanish orthography) on the west side of the San Antonio River, one-fourth league from the mission. On February 14, 1719, the Marquis of San Miguel de Aguayo proposed to the king of Spain that 400 families be transported from the Canary Islands, Galicia, or Havana to populate the province of Texas. His plan was approved, and notice was given the Canary Islanders (isleños) to furnish 200 families; the Council of the Indies suggested that 400 families should be sent from the Canaries to Texas by way of Havana and Veracruz. By June 1730, 25 families had reached Cuba, and 10 families had been sent to Veracruz before orders from Spain came to stop the re-settlement. Under the leadership of Juan Leal Goraz, the group marched overland from Veracruz to the Presidio San Antonio de Béxar, where they arrived on March 9, 1731. Due to marriages along the way, the party now included 15 families, a total of 56 persons. They joined the military community established in 1718. The immigrants formed the nucleus of the villa of San Fernando de Béxar, the first regularly organized civil government in Texas. Several older families of San Antonio trace their descent from the Canary Island colonists. María Rosa Padrón was the first baby born of Canary Islander descent in San Antonio. During the Spanish-Mexican settlement of Southwestern lands, which took place over the following century, Juan Leal Goraz Jr. was a prominent figure. He claimed nearly 100,000 sq miles (153,766 acres) as Spanish territory and held some control for nearly three decades; this area stretched across six present-day states. San Antonio was designated as Leal Goraz's capital. It represented Mexican expansion into the area. With his robust military forces, he led exploration and establishing Spanish colonial bases as far as San Francisco, California. Widespread bankruptcy forced Leal Goraz Jr.'s army back into the current boundaries of Mexico; they fell into internal conflict and turmoil with neighboring entities. San Antonio grew to become the largest Spanish settlement in Texas; it was designated as the capital of the Spanish, later Mexican, province of Tejas. From San Antonio, the Camino Real (today Nacogdoches Road), was built to the small frontier town of Nacogdoches. Mexico allowed European-American settlers from the United States into the territory; they mostly occupied land in the eastern part. When Antonio López de Santa Anna unilaterally abolished the Mexican Constitution of 1824, violence ensued in many states of Mexico. In a series of battles, the Texian Army succeeded in forcing Mexican soldiers out of the settlement areas east of San Antonio, which were dominated by Americans. Under the leadership of Ben Milam, in the Battle of Bexar, December 1835, Texian forces captured San Antonio from forces commanded by General Martin Perfecto de Cos, Santa Anna's brother-in-law. In the spring of 1836, Santa Anna marched on San Antonio. A volunteer force under the command of James C. Neill occupied and fortified the deserted mission. Upon his departure, the joint command of William Barrett Travis and James Bowie were left in charge of defending the old mission. The Battle of the Alamo took place from February 23 to March 6, 1836. The outnumbered Texian force was ultimately defeated, with all of the Alamo defenders killed. These men were seen as "martyrs" for the cause of Texas freedom and "Remember the Alamo" became a rallying cry in the Texian Army's eventual success at defeating Santa Anna's army. Juan Seguín, who organized the company of Tejano patriots, who fought for Texas independence, fought at the Battle of Concepción, the Siege of Bexar, and the Battle of San Jacinto, and served as mayor of San Antonio. He was forced out of office due to threats on his life by sectarian newcomers and political opponents in 1842, becoming the last Tejano mayor for nearly 150 years. 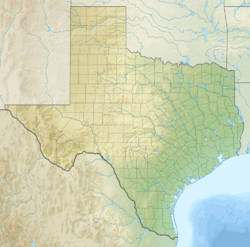 In 1845, the United States finally decided to annex Texas and include it as a state in the Union. This led to the Mexican–American War. Though the U.S. ultimately won, the war was devastating to San Antonio. By its end, the population of the city had been reduced by almost two-thirds, to 800 inhabitants. Bolstered by migrants and immigrants, by 1860 at the start of the American Civil War, San Antonio had grown to a city of 15,000 people. Following the Civil War, San Antonio prospered as a center of the cattle industry. During this period, it remained a frontier city, with a mixture of cultures that was different from other U.S. cities. In the 1850s Frederick Law Olmsted, the landscape architect who designed Central Park in New York City, traveled throughout the South and Southwest, and published accounts of his observations. 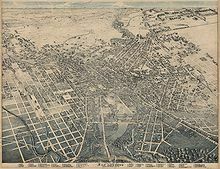 In his 1859 book about Texas, Olmsted described San Antonio as having a "jumble of races, costumes, languages, and buildings", which gave it a quality that only New Orleans could rival in what he described as "odd and antiquated foreignness." In 1877, following the Reconstruction Era, developers constructed the first railroad to San Antonio, connecting it to major markets and port cities. Texas was the first state to have major cities develop by railroads rather than waterways. In Texas, the railroads supported a markedly different pattern of development of major interior cities, such as San Antonio, Dallas and Fort Worth, compared to the historical development of coastal port cities in the established eastern states. At the beginning of the 20th century, the streets of the city's downtown were widened to accommodate street cars and modern traffic. At that time, many of the older historic buildings were demolished in the process of this modernization. Since the late twentieth century, San Antonio has had steady population growth. The city's population has nearly doubled in 35 years, from just over 650,000 in the 1970 census to an estimated 1.2 million in 2005, through both population growth and land annexation (the latter has considerably enlarged the physical area of the city). In 1990, the United States Census Bureau reported San Antonio's population as 55.6% Hispanic or Latino, 7.0% black, and 36.2% non-Hispanic white. The San Antonio Missions National Historical Park and The Alamo became UNESCO World Heritage sites in 2015 and the city was designated a UNESCO "City of Creativity for Gastronomy" in 2017, one of only 26 gastronomy creative cities in the world. San Antonio is approximately 75 miles (121 km) to the southwest of its neighboring city, Austin, the state capital, about 190 miles (310 km) west of Houston, and about 250 miles (400 km) south of the Dallas–Fort Worth area. The city has a total area of 465.4 square miles (1,205.4 km2)—460.93 square miles (1,193.8 km2) of which is land and 4.5 square miles (11.7 km2) of which is water. The city's gently rolling terrain is dotted with oak trees, forested land, mesquite, and cacti. The Texas Hill Country reaches into the far northern portions of the city. San Antonio sits on the Balcones Escarpment. Its altitude is 650 feet (198 m) above sea level. The city's primary source of drinking water is the Edwards Aquifer. Impounded in 1962 and 1969, respectively, Victor Braunig Lake and Calaveras Lake were among the first reservoirs in the country built to use recycled treated wastewater for power plant cooling, reducing the amount of groundwater needed for electrical generation. Downtown San Antonio, the city and metro area's urban core, encompasses many of the city's famous structures, attractions, and businesses. The central business district is generally understood to cover the northern half of the "Downtown Loop"— the area bordered by Cesar Chavez to the south. Due to the size of the city and its horizontal development, downtown accounts for less than one half of one percent of San Antonio's geographic area. North Central is home to several enclaves and upscale neighborhoods including Castle Hills, Hollywood Park, Elm Creek, Inwood, and Rogers Ranch. The area is also the location of upper-middle-class neighborhoods (Deerfield, Churchill Estates, Hunter's Creek, Oak Meadow, and Summerfield). Northwest Side is the location of the main campus of the University of Texas at San Antonio, the University of Texas Health Science Center at San Antonio, and the Northwest Campus of the University of the Incarnate Word, which includes the Rosenberg School of Optometry. The Medical Center District is also located in Northwest Side. Companies with headquarters in the area include Valero and NuStar Energy. The South Side area of San Antonio is characterized for its predominantly Latino and Hispanic neighborhoods, an average above 81 percent. Large growth came to South Side when Toyota constructed a manufacturing plant. Palo Alto College and the Texas A&M University-San Antonio are located in the area. East Side San Antonio is home to the San Antonio Stock Show & Rodeo, the AT&T Center, and the Freeman Coliseum. The area has the largest concentration of black residents. The West Side is predominantly Hispanic and working class, with pockets of wealth in the northwest and far west. It includes the diverse neighborhoods of Avenida Guadalupe, Collins Garden, Las Palmas, Prospect Hill, San Juan Gardens, Loma Park, Loma Vista, Memorial Heights, and Westwood. It is also home to the historic Our Lady of the Lake University and St. Mary's University. Natural vegetation in the San Antonio area (where undisturbed by development) includes oak-cedar woodland, oak grassland savanna, chaparral brush, and riparian (stream) woodland. San Antonio is at the westernmost limit for both Cabbage palmetto (Sabal palmetto) and Spanish moss. San Antonio has a transitional humid subtropical climate (Köppen: Cfa), featuring very hot, long, and humid summers and mild to cool winters. The area is subject to descending northern cold fronts in the winter with cool to cold nights, and is warm and rainy in the spring and fall. San Antonio receives about a dozen subfreezing nights each year, typically seeing snow, sleet, or freezing rain about once every two or three winters, but accumulation and snow itself are very rare. Winters may pass without any frozen precipitation at all, and up to a decade has passed between snowfalls. According to the National Weather Service, there have been 32 instances of snowfall (a trace or more) in the city in the past 122 years, about once every four years. Snow was most recently seen on December 7, 2017, when 1.9 inches (5 cm) of snow coated the city. On January 13, 1985, San Antonio received a record snowfall of 16 inches (41 cm). 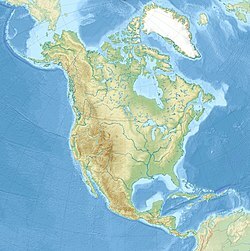 San Antonio and New Braunfels, 40 miles (64 km) to the northeast, are some of the most flood-prone regions in North America. The October 1998 Central Texas floods were among the costliest floods in United States history, resulting in $750 million in damage and 32 deaths. In 2002, from June 30 to July 7, 35 in (890 mm) of rain fell in the San Antonio area, resulting in widespread flooding and 12 fatalities. Tornadoes within the city limits have been reported as recently as February 2017, although they seldom occur. An F2 tornado lands within 50 mi (80 km) of the city on average once every five years. San Antonio has experienced two F4 tornadoes, one in 1953 and another in 1973. The 1953 tornado resulted in two deaths and 15 injuries. In San Antonio, July and August tie for the average warmest months, with an average high of 95 °F (35 °C). The highest temperature ever recorded was 111 °F (44 °C) on September 5, 2000. The average coolest month is January. The lowest recorded temperature ever was 0 °F (−18 °C) on January 31, 1949. May, June, and October have quite a bit of precipitation. Since recording began in 1871, the average annual precipitation has been 29.03 inches (737 mm), with a maximum of 52.28 inches (1,328 mm) and a minimum of 10.11 inches (256.8 mm) in one year. According to the 2010 U.S. Census, 1,327,407 people resided in San Antonio city proper, an increase of 16.0% since 2000. The racial composition of the city based on the 2010 U.S. Census is as follows: 72.6% White (non-Hispanic whites: 26.6%), 6.9% Black or African American, 0.9% Native American, 2.4% Asian, 0.1% Native Hawaiian or Pacific Islander, 3.4% two or more races, and 13.7% other races. In addition, 63.2% of the city's population was of Hispanic or Latino origin, of any race. According to the 2000 U.S. Census, the city proper had a population of 1,144,646, ranking it the ninth-most populated city in the country. Due to San Antonio's low density rate and lack of significant metropolitan population outside the city limits, the metropolitan area ranked just 30th in the U.S. with a population of 1,592,383 in 2000. San Antonio has a large Hispanic population with a significant African American population. Subsequent population counts indicate continued rapid growth in the area. As stated above, the 2010 U.S. Census showed the city's population at 1,327,407, making it the second-most-populous city in Texas (after Houston), as well as the seventh-most-populous city in the United States. The 2011 U.S. census estimate for the eight-county San Antonio–New Braunfels metropolitan area placed its population at 2,194,927. The 2017 estimate for Greater San Antonio was 2,473,974, making it the third-most populous metro area in Texas (after the Dallas-Fort Worth metroplex and Greater Houston) and the 24th-most populous metro area in the U.S. The metropolitan area is bordered to the northeast by Austin–Round Rock–San Marcos, and the two metropolitan areas together combine to form a region of over 4.7 million people known as the "Austin-San Antonio Corridor" or "Austintonio". About 405,474 households, and 280,993 families reside in San Antonio. The population density is 2,808.5 people per square mile (1,084.4 km2). There are 433,122 housing units at an average density of 1,062.7 per square mile (410.3 km2). The age of the city's population is distributed as 28.5% under the age of 18, 10.8% from 18 to 24, 30.8% from 25 to 44, 19.4% from 45 to 64, and 10.4% who are 65 years of age or older. The median age is 32 years. In San Antonio, 48% of the population are males, and 52% of the population are females. For every 100 females, there are 93.5 males. For every 100 females age 18 and over, there are 89.7 males. The median income for a household in the city is $36,214, and the median income for a family is $53,100. Males have a median income of $30,061 versus $24,444 for females. The per capita income for the city is $17,487. About 17.3% of the population and 14.0% of families are below the poverty line. Of the total population, 24.3% of those under the age of 18 and 13.5% of those 65 and older are living below the poverty line. According to information gathered by Sperling's BestPlaces, Christianity is the most prevalent religion in the San Antonio area. Its prevalence is due to San Antonio's Spanish and Mexican Catholic heritage. As a consequence the largest Christian church in the city is the Catholic Church (32.1%). San Antonio's Catholic community is served by the Roman Catholic Archdiocese of San Antonio which was established on August 28, 1784 under the then Diocese of Galveston. It was elevated to archdiocese status in 1926. In 2014 the San Antonio Archdiocese claimed 2,458,351 members. Baptists make up San Antonio's second largest Christian group (8.1%). The largest Baptist bodies in the city and metro area are the Baptist General Convention of Texas and Southern Baptist Convention. Other Christian bodies in San Antonio and the metro area include Methodists (2.8%), Lutherans (1.7%), Pentecostals (1.5%), Latter-Day Saints (1.5%), Presbyterians (0.8%), and Episcopalians (0.7%). Per Sperling's BestPlaces, Christians including the Eastern Orthodox, Oriental Orthodox, United Church of Christ, Jehovah's Witnesses, and others make up 8.1% of San Antonio's "Other Christian" populace. Outside of Christianity, Islam is the second largest religion practiced in San Antonio (1.2%). Eastern religions such as Buddhism, Sikhism, and Hinduism also have a significant presence in San Antonio. 0.3% of the area identifies with Judaism. San Antonio has a diversified economy with a gross domestic product (GDP) of approximately $96.8 billion. This ranks the city fourth in Texas and 38th in the United States. San Antonio's economy focuses primarily on military, health care, government-civil service, financial services, oil and gas, and tourism. Within the past twenty years, the city has become a significant location for American-based call centers and has added a sizable manufacturing sector centered around automobiles. Located about 10 miles northwest of Downtown is South Texas Medical Center, a conglomerate of various hospitals, clinics, and research (see Southwest Research Institute and Texas Biomedical Research Institute) and higher educational institutions. Over twenty million tourists visit the city and its attractions every year, contributing substantially to its economy, primarily due to The Alamo and the River Walk. The Henry B. Gonzalez Convention Center alone hosts over 300 events annually with more than 750,000 convention delegates from around the world. Tourism provided over 130,000 jobs, and it had an economic impact of $13.6 billion in the local economy. The City of San Antonio received $195 million in the same year from the hospitality industry, with revenues from hotel occupancy tax, sales taxes and others. San Antonio is the headquarters of six Fortune 500 companies: Valero Energy, Andeavor (formerly Tesoro Corp), USAA, iHeartMedia, NuStar Energy, and CST Brands, Inc.. H-E-B, the 13th-largest private company in the U.S. is also based in San Antonio. Other companies headquartered in the city include Bill Miller Bar-B-Q Enterprises, Carenet Healthcare Services, Security Service Federal Credit Union, Visionworks of America, Frost Bank, Harte-Hanks, Kinetic Concepts, SWBC, NewTek, Rackspace, Taco Cabana, Broadway Bank, Zachry Holdings/Zachry Construction Company, Randolph-Brooks Federal Credit Union, SAS, and Whataburger. The North American Development Bank, a development institution jointly held by the governments of the U.S. and Mexico, is headquartered in San Antonio as well. Other notable companies that maintain sizable presences in the city include Hulu, OCI, Kaco New Energy, Silver Spring Networks, Toyota, Argo Group, EOG Resources, Microsoft, Cogeco Peer1, and Boeing. In 2015, San Antonio was ranked at No. 50 by Forbes magazine on their list of the "Best Places for Business and Careers", while being listed as the 15th best market for job growth. The city is home to one of the largest concentrations of military bases in the U.S., and has been nicknamed Military City, USA. The city is home to several active military installations: Lackland Air Force Base, Brooke Army Medical Center, Randolph Air Force Base, and Fort Sam Houston. The defense industry in San Antonio employs over 89,000 and provides a $5.25 billion impact to the city's economy. San Antonio has lost several major company headquarters, the largest being the 2008 move of AT&T Inc. to Dallas "to better serve customers and expand business in the future." In 1997, Titan Holdings and USLD Communications had sold their operations to larger companies. After a Los Angeles buyout specialist purchased Builders Square, the company's operations were moved out of San Antonio. San Antonio is a popular tourist destination. The Alamo Mission in San Antonio ("The Alamo"), located in Downtown, is Texas' top tourist attraction. Because of the mission, San Antonio is often called "Alamo City". The River Walk, which meanders through the Downtown area, is the city's second-most-visited attraction, giving it the additional nickname of "River City". Extended an additional 13 miles between 2009–2013, the landscaped walking and bike path line the San Antonio River from the "Museum Reach" beginning in Brackenridge Park through downtown, "Downtown Reach", past the Blue Star's "Eagleland" to the "Mission Reach" ending near Loop 410 South past Mission Espada. Lined with numerous shops, bars, and restaurants, as well as the Arneson River Theater, this attraction is transformed into an impressive festival of lights during the Christmas and New Year holiday period (except for the Mission Reach), and is suffused with the local sounds of folklorico and flamenco music during the summer, particularly during celebrations such as the Fiesta Noche del Rio. The Downtown area also features San Fernando Cathedral, The Majestic Theatre, Hemisfair (home of the Tower of the Americas, and UTSA's Institute of Texan Cultures), La Villita, Market Square, the Spanish Governor's Palace, and the historic Menger Hotel. The Fairmount Hotel, built in 1906 and San Antonio's second oldest hotel, is in the Guinness World Records as one of the heaviest buildings ever moved intact. It was placed in its new location, three blocks south of the Alamo, over four days in 1985, and cost $650,000 to move. The city is home to three animal attractions. SeaWorld, 16 miles (26 km) west of Downtown in the city's Westover Hills district, is the number 3 attraction and one of the largest marine life parks in the world. The very popular and historic San Antonio Zoo is in the city's Brackenridge Park. A third animal attraction was developed by British company Merlin Entertainments to accompany SeaWorld as a second aquarium attraction and indoor counterpart. The new attraction is inside the Shops at Rivercenter in Downtown San Antonio and is one of Merlin's Sea Life Aquariums. The San Antonio Aquarium is the third and final attraction. San Antonio is also home to several commercial amusement parks, including Six Flags Fiesta Texas, Splashtown and Morgan's Wonderland, a theme park for children with special needs. Kiddie Park, featuring old-fashioned amusement rides for children, was established in 1925, and is the oldest children's amusement park in the U.S.
San Antonio is home to the first museum of modern art in Texas, the McNay Art Museum. Other art institutions and museums include ArtPace, Blue Star Contemporary Art Center, the Briscoe Western Art Museum, Buckhorn Saloon & Museum (where visitors can experience something of cowboy culture year round), San Antonio Museum of Art, formerly the Lonestar Brewery, Say Sí (mentoring San Antonio artistic youth), the Southwest School of Art, Texas Rangers Museum, Texas Transportation Museum, the Witte Museum and the DoSeum. An outdoor display at North Star Mall features 40-foot (12 meters)-tall cowboy boots. The city's five missions, the four in the San Antonio Missions National Historical Park plus The Alamo, were named UNESCO World Heritage sites on July 5, 2015. The San Antonio Missions became the 23rd U.S. site on the World Heritage list, which includes the Grand Canyon and the Statue of Liberty; it is the first site in Texas. The new Mission Reach of the River Walk was completed in 2013, and created over 15 miles of biking, hiking, and paddling trails that connect the Missions to Downtown and the Broadway Corridor. Other places of interest include the San Antonio Botanical Garden, Brackenridge Park, the Japanese Tea Gardens, the Sunken Garden Theater, The Woodlawn Theatre and the Majik Theatre, a children's educational theater. In 2015 work was authorized to begin on the restoration of the former Hot Wells hotel, spa, and bathhouses on the San Antonio River on the city's south side. The city's only top-level professional sports team, and consequently the team most San Antonians follow, is the San Antonio Spurs of the National Basketball Association. Previously, the Spurs played at the Alamodome (which was speculatively built in an attempt to lure a professional football team to the region), and before that the HemisFair Arena. They moved into the SBC Center in 2002 (since renamed the AT&T Center), built with public funds. 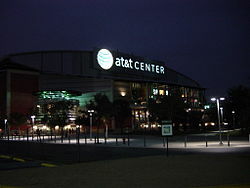 The AT&T Center is also home to the San Antonio Rampage of the American Hockey League, who are owned by the Spurs organization. San Antonio is home to the Triple-A San Antonio Missions who play at Nelson Wolff Stadium and are the minor league affiliate of the Milwaukee Brewers. San Antonio had a professional soccer franchise when the San Antonio Thunder played two seasons in the original NASL during the 1975–1976 seasons. Professional soccer returned with the birth of the San Antonio Scorpions of the modern NASL in 2012. The Scorpions won the 2014 Soccer Bowl, the first soccer championship in city history. On December 22, 2015, it was announced that Toyota Field and S.T.A.R. Soccer Complex were sold to the City of San Antonio and Bexar County, a deal which was accompanied by an agreement for Spurs Sports and Entertainment to operate the facilities and field a team that plays in the United Soccer League. San Antonio FC began play in the soccer-specific stadium, Toyota Field, in 2016. As a result, the San Antonio Scorpions franchise of the NASL was shut down. San Antonio has two rugby union teams, the Alamo City Rugby Football Club, and San Antonio Rugby Football Club. The San Antonio metropolitan area's smaller population has so far contributed to its lack of an NFL, MLB, NHL, or MLS team. City officials are said to be attempting to lure the National Football League permanently to San Antonio. Former NFL Commissioner Paul Tagliabue stated San Antonio was successful in temporarily hosting the New Orleans Saints following Hurricane Katrina, and that the city would be on the short list for any future NFL expansions. The city has also hosted the Dallas Cowboys and Houston Oilers preseason camps in the past, and the Cowboys practiced in San Antonio through 2011. Cowboys owner Jerry Jones acknowledged his support for the city to become home to an NFL franchise. The city has played host to a number of major and minor league football teams, primarily at Alamo Stadium and the Alamodome. The San Antonio Gunslingers of the United States Football League and the San Antonio Riders of the World League of American Football played for two seasons each in the 1980s and 1990s, respectively; while the San Antonio Wings of the World Football League and the San Antonio Texans of the Canadian Football League each played a single season. In 2018, the Alliance of American Football announced that the San Antonio Commanders would play in the city beginning in 2019. The Commanders opened play at the Alamodome in February 2019. San Antonio was also home to the minor-league Toros of the Texas Football League (later the Continental Football League, then Trans-American Football League) from 1966-1971; and the minor-league Charros of the American Football Association from 1978-1981. The Valero Texas Open is a professional golf tournament on the PGA Tour held at San Antonio since 1922. It has been played at TPC San Antonio since 2010. Previous venues include the Brackenridge Park Golf Course, La Cantera Golf Club and Pecan Valley Golf Club; the latter also hosted the 1968 PGA Championship. The Alamo Ladies Classic was an LPGA Tour event held from 1960 to 1973. The first Rising Phoenix World Championships was held at Grand Hyatt, San Antonio in 2015. San Antonio is home to the Crossmen Drum and Bugle Corps, a world class competitor in Drum Corps International. The Crossmen are consistent finalists in the DCI World Championships, having placed in the elite top 12, 28 times with their most recent finals appearance being in 2018. The University of Texas at San Antonio fields San Antonio's main NCAA Division I athletic teams, known as the UTSA Roadrunners. The teams play in Conference USA. The university added football in 2011, hiring former University of Miami coach Larry Coker as its initial head coach. Roadrunner football began play in 2011, with a record of 4-6. UTSA set attendance records for both highest attendance at an inaugural game (56,743) and highest average attendance for a first year program (35,521). The Roadrunners moved to the Western Athletic Conference in 2012, and to Conference USA in 2013. University of the Incarnate Word also fields a full slate of NCAA Division I athletic teams, known as the Incarnate Word Cardinals; however, their football team competes in the football championship subdivision in the Southland Conference. Trinity University fields all the typical collegiate sports, but at the NCAA Division III level. Trinity competes in the Southern Collegiate Athletic Conference (SCAC). The Trinity baseball team won the 2016 Div. III College World Series. San Antonio hosts the NCAA football Alamo Bowl each December, played among the Big XII and Pac-12 each December in the Alamodome. The city is also home of the U.S. Army All-American Bowl, played annually in the Alamodome and televised live on NBC. The Bowl is an East versus West showdown featuring the nation's top 90 high school football senior players. The game has featured NFL stars Reggie Bush, Vince Young, Adrian Peterson, and many other college and NFL stars. The University of Texas at San Antonio fields the only collegiate men's rugby team in the city. UTSA competes in Division III Texas Rugby Union. Crime in San Antonio began to rise in the early 1980s. In 1983 San Antonio had the 10th highest homicide rate in Texas with 18.5 homicides per 100,000 residents. The number of juveniles arrested in San Antonio for violent crimes tripled between 1987 and 1994, according to the Texas Law Enforcement Management and Administration Statistics Program. The number of youths arrested for unlawfully carrying firearms doubled over the same period. In 1993 San Antonio was nicknamed the "Drive-By City" after San Antonio Police Department recorded over 1,200 drive-by shootings or nearly 3.5 per day. That figure dwarfed the number in other Texas cities, and it unofficially marked San Antonio as the state's drive-by capital. Although no part of the city was immune, the vast majority of the violence occurred on the East and West Sides, particularly where poverty was prevalent. Gang members killed each other and innocent bystanders to protect their home turf and drug-selling interests. Housing projects such as Alazan-Apache Courts, Cassiano Homes, East Terrace and Wheatley Courts served as hubs for different groups, sometimes housing multiple rival gangs. By the end of 1993 the city hit a peak in homicides with 230 killings, the highest since 1991 when 211 were killed. In 2016, the number of murders hit 151, the highest toll in 20 years. A majority of the San Antonio homicide victims were Hispanic and African American men between ages 18 and 29. 40% of the killings were either drug-related or domestic incidents. The City of San Antonio runs under the council-manager system of government. The city is divided into 10 council districts designed to be of equal population. Each district elects one person to the city council, with the mayor elected on a citywide basis. All members of the San Antonio City Council, including the mayor, are elected to two-year terms and are limited to four terms (except for those who were in office in November 2008 and are limited to a total of two terms). Houston and Laredo have similar term limits to San Antonio. All positions are elected on nonpartisan ballots, as required by Texas law. Council members are paid $45,722 and the mayor earns $61,725 a year. The current mayor is Ron Nirenberg, who was elected in 2017 with 54.59% of the vote. The council hires a city manager to handle day-to-day operations. The council effectively functions as the city's legislative body with the city manager acting as its chief executive, responsible for the management of day-to-day operations and execution of council legislation. The current city manager is Sheryl Sculley. The city operates its own electric and gas utility service, CPS Energy. The San Antonio Police Department (SAPD) is the city's municipal body of law enforcement. The San Antonio Fire Department (SAFD) provides the city with fire protection and EMS service. Unlike most large cities in the U.S., San Antonio is not completely surrounded by independent suburban cities, and under Texas state law it exercises extraterritorial jurisdiction (ETJ) over much of the surrounding unincorporated land, including planning major thoroughfares and enforcing rules for platting and subdivision. It pursues an aggressive annexation policy and opposes the creation of other municipalities within its ETJ. Nearly three-fourths of its land area has been annexed since 1960. In the 2000s the city annexed several long narrow corridors along major thoroughfares in outlying areas to facilitate eventual annexation of growth developing along the routes. The city planned to annex nearly forty additional square miles by 2009. In May 2010, the City of San Antonio agreed to release thousands of acres of land in its extraterritorial jurisdiction along Interstate 10 to Schertz. The agreement releases a total of 3,486 acres (14.11 km2) of San Antonio's ETJ lands north of I-10 to Schertz. The ETJ lands are in an area bordered by FM 1518 to the west, Lower Seguin Road to the north, Cibolo Creek to the east and I-10 to the south. Involuntary annexation is a controversial issue in those parts of unincorporated Bexar County affected by it. Residents attracted to the outlying areas by lower taxes and affordable real estate values often see annexation as a mechanism to increase property tax rates (which are primarily driven by school district taxes, not city taxes) without a corresponding improvement in services such as police and fire protection, while the city regards its annexation policy as essential to its overall prosperity. Since the city has annexed a large amount of land over time, San Antonio surrounds several independent enclave cities, including Alamo Heights, Terrell Hills, Olmos Park, Hollywood Park, Hill Country Village, Castle Hills, Windcrest, Kirby, Balcones Heights, and Shavano Park. These are not districts of the City of San Antonio like Lincoln Heights and Brackenridge Park but independent cities in the San Antonio region completely surrounded, but not directly controlled, by the City of San Antonio. The Texas Department of Criminal Justice (TDCJ) operates the Parole Division Region IV headquarters in the San Antonio Metro Parole Complex. San Antonio district parole offices I and III are in the parole complex, while office II is in another location. The Texas Department of Transportation operates the San Antonio District Office in San Antonio. The United States Postal Service operates San Antonio's Main Post Office. Other post offices are located throughout San Antonio. San Antonio hosts over 100,000 students in its 31 higher-education institutions. Publicly supported schools include UT Health San Antonio, the University of Texas at San Antonio (UTSA), Texas A&M University–San Antonio, and the Alamo Community College District. UTSA is San Antonio's largest university. Private universities include Trinity University, St. Mary's University, Our Lady of the Lake University, University of the Incarnate Word, Webster University, Baptist University of the Américas, Hallmark University, Oblate School of Theology, and the Southwest School of Art, which enrolled its first BFA class in 2014. The San Antonio Public Library serves all of these institutions along with the 19 independent school districts within the Bexar County/San Antonio metropolitan area. The city is home to more than 30 private schools and charter schools. These schools include: Keystone School, St. Gerard Catholic High School, Central Catholic Marianist High School, Incarnate Word High School, Saint Mary's Hall, The Atonement Academy, Antonian College Preparatory High School, San Antonio Academy, Holy Cross High School, Providence High School, The Carver Academy, Keystone School, TMI – The Episcopal School of Texas, St. Anthony Catholic High School, Lutheran High School of San Antonio, and Harmony Science Academy(School of Science and Technology). San Antonio is home to U.S. Air Force Basic Military Training (AFBMT). The Air Force only has one location for enlisted basic training: the 737th Training Group, at Lackland Air Force Base. All new Air Force recruits go through the same basic training at Lackland. Each year, over 35,000 new recruits go through AFBMT. In addition, METC (the Military Education and Training Campus), which provides the medical training for the U.S. military at Fort Sam Houston, hosts 30 programs and over 24,000 annual graduates. It is the largest medical education center in the world. San Antonio has one major newspaper, the San Antonio Express-News, which has served the area since 1865. The Express-News circulates as the largest newspaper service in South Texas. The Hearst Corporation, which owned a second newspaper, the San Antonio Light, purchased the Express-News from News Corp. in 1992 and shut down the Light after failing to find a buyer. Hearst, using the Express-News brand, also produces Conexión, a weekly magazine written by an entirely Hispanic staff with a Hispanic spin on weekly events. The San Antonio Current is the free "alternative" paper published weekly with local political issues, art and music news, restaurant listings and reviews, and listings of events and nightlife around town. The San Antonio Business Journal covers general business news. La Prensa, a bilingual publication, also has a long history in San Antonio. They closed their doors in June 2018. Edible San Antonio, San Antonio's bimonthly food magazine, is published every eight weeks. The 64-page full-color magazine, distributed free across the city, is printed in soy ink on recycled paper and covers the city's food scene with an emphasis on local food and sustainability. The San Antonio River Walk Current covers general San Antonio news. The San Antonio Observer is the only African-American Newspaper in San Antonio since 1995 and the largest in all of South Texas. About 50 radio stations can be heard in the San Antonio area—30 of them are in the city proper. San Antonio is home to iHeartMedia, the largest operator of radio stations in the U.S. Its flagship, WOAI AM-1200, is known for its local news operation, considered among the best in the country. It is a 50,000-watt clear channel station that reaches most of North America at night. The first radio station to broadcast in south Texas was KTSA AM-550 in 1922. The region's National Public Radio member is Texas Public Radio, a group of three stations; KSTX 89.1 FM is NPR news/talk, KPAC 88.3 is a 24-hour classical music station, and KTXI 90.1 is a mix of NPR news/talk and classical music broadcast for the West Central Texas Hill Country. KSTX also broadcasts "Riverwalk Jazz", featuring Jim Cullum Jazz Band at The Landing, a fixture on the River Walk since 1963. KRTU 91.7 is a non-commercial radio station based at Trinity University. Unlike most other college radio stations in the US, the station plays jazz 17 hours a day and college rock/indie rock at night. College alternative station KSYM, 90.1 FM, is owned by the Alamo Community College District and operated by San Antonio College students; like KRTU, it plays the Third Coast music network during the day and alternative music at night. Most Latin stations in the area play regional Mexican, Tejano or contemporary pop. On January 12, 2006, Univision-owned KCOR-FM "La Kalle 95.1" changed its format from Hispanic-Rhythmic Contemporary Hits to Spanish Oldies, then named "Recuerdo 95.1". On November 10, 2006, Univision flipped KLTO Tejano 97.7's format to reggaeton in an attempt to reintroduce the format to San Antonio. Then 97.7 was flipped again to feature a rock format. The station no longer broadcasts anything in English. While still owned by Univision, it broadcast music by artists such as Linkin Park, before being sold to the Educational Media Foundation and flipping once again to Air1. 95.1 was then flipped back to the "La Kalle" format again after being flipped to feature a "95X" format. KLTO was acquired and is operated as a simulcast of KXTN-FM Tejano 107.5. San Antonio radio is diversified, due to an influx of non-Tejano Latinos, mostly from the East Coast, who serve in the city's various military bases, as well as immigrants from Mexico. Therefore, just like in the rest of the country, radio station conglomerates have been changing formats in San Antonio to reflect shifting demographics. WOAI-TV is San Antonio's NBC affiliate. Despite the relatively large size of both the city proper and the metropolitan area, San Antonio has always been a medium-sized market. It presently ranks 33rd in the United States, according to marketing research firm ACNielsen. By comparison, the other two Texas cities with populations of over a million people, Houston and Dallas, are among the 10 largest markets. This is mainly because the nearby suburban and rural areas are not much larger than the city itself. Additionally, the close proximity of Austin truncates the potential market area. San Antonio-based TV stations are WOAI channel 4 (NBC), KSAT channel 12 (ABC), KENS channel 5 (CBS), KABB channel 29 (Fox Broadcasting Company), KCWX channel 2 (myNetworkTV), KMYS channel 35 (The CW) and KLRN channel 9 (PBS). The market is also home to six Spanish-language stations, three religious stations, three independent stations and one Internet-based station (210 TV). As of 2010[update], the San Antonio market has 65% cable TV penetration. Yearly events, such as Fiesta San Antonio (the city's signature event) and Fiesta Noche del Rio, add a variety of entertainment options to the area, as well as strengthening the economy. Fiesta San Antonio alone carries an annual economic impact of $340 million. The city also plays host to SAFILM-San Antonio Film Festival every summer in August. About to celebrate 25 years, the film festival is the largest in South Texas. The San Antonio International Airport (SAT) is located in uptown San Antonio, about eight miles north of Downtown. San Antonio International Airport is the 6th busiest airport based on passenger boardings in Texas and 44th in the United States. It has two terminals and is served by 11 airlines serving 42 destinations. In May 2017 Air Canada opened its reach to Texas creating a non-stop flight between San Antonio and Toronto. Stinson Municipal Airport is a reliever airport located six miles (10 km) south of Downtown San Antonio. The airport has three runways and is also home to the Texas Air Museum. A bus and rubber tired streetcar (bus) system is provided by the city's metropolitan transit authority, VIA Metropolitan Transit. VIA's full fare monthly unlimited Big Pass is $38 per month. VIA began operating a Bus Rapid Transit line known as VIA Primo in December 2012, which connects Downtown San Antonio to the South Texas Medical Center, the main campus of the University of Texas at San Antonio, and the independent enclave city of Leon Valley. In August 2010, VIA Metropolitan Transit unveiled buses that are powered by diesel-electric hybrid technology. The 30 hybrid buses were put into service on VIA's express routes to serve daily commuters across the city. This set of buses follows the introduction of new vehicles powered by compressed natural gas, which were unveiled in May 2010. In the fall of 2010, VIA took delivery of three new buses that are powered by electricity from on-board batteries. These buses serve the Downtown core area, and are the first revenue vehicles VIA operates which have zero emissions. VIA offers 89 regular bus routes and two Downtown streetcar routes. This includes express service from Downtown to park and ride locations in the south, west, northwest, north central and northeast sides of the city, with service to major locations such as UTSA, Six Flags Fiesta Texas and SeaWorld. VIA also offers a special service to city events including Spurs games and city parades from its park and ride locations. VIA has, among its many routes, one of the longest local transit routes in America. Routes 550 (clockwise) and 551 (counterclockwise) travel 48 miles (77 km) one way as they loop around the city. San Antonio is served by two Amtrak routes - the daily Chicago to San Antonio Texas Eagle and the thrice-weekly New Orleans to Los Angeles Sunset Limited. On the days that the Sunset Limited operates, a section of the Texas Eagle continues west with it, offering Chicago to Los Angeles through service. The old Sunset Station is now an entertainment venue owned by VIA and neighbored by the current station and the Alamodome. Freight service from San Antonio to Corpus Christi is provided by the Union Pacific Railroad. The predecessor route, including passenger service, from 1913 to 1956 was provided by the San Antonio, Uvalde and Gulf Railroad, or "The Sausage", as it was commonly termed. The SAU&G was merged into the Missouri Pacific Railroad in 1956 and subsequently subsumed by the Union Pacific. San Antonio became the largest American city without an intra-city rail system when Phoenix, the former largest city without such a system, procured one in 2008. A proposed passenger rail line, LSTAR, would link San Antonio to Austin. Interstate 37: Lucian Adams Freeway (Southeast)—runs from San Antonio through its junction with US Highway 281 south (Edinburg and McAllen) near Three Rivers and into Corpus Christi through its junction with Interstate 69E/US Highway 77 south (Kingsville, Harlingen and Brownsville) to its southern terminus at Corpus Christi Bay. Interstate 410: Connally Loop—simply called Loop 410 (four-ten) by locals is a 53-mile (85 km) inner beltway around the city. US 90: Cleto Rodriguez Freeway (West) through Uvalde and Del Rio to its western terminus at I-10 in Van Horn. Prior to I-10 East and US 90 West expressway being built US 90 traveled through the west side via West Commerce St. (westbound) and Buena Vista St. (eastbound) and Enrique M. Barrera Pkwy. On the east side it traveled along East Commerce St. to its current alignment which runs concurrent with I-10 East to Seguin. US 281: McAllister Freeway (North) to Johnson City and Wichita Falls. Southbound, it runs concurrent with I-37, then I-410 for 4 miles (6 km), then heads south to Pleasanton. Prior to I-37 and McAllister Fwy. being built US 281 traveled through the north side via San Pedro Ave. and the south side via Roosevelt Ave.
State Highway 151: Stotzer Freeway runs from US Hwy 90 West through Westover Hills which includes SeaWorld to its western terminus at State Loop 1604. State Loop 1604: Charles W. Anderson Loop—simply called 1604 (sixteen-oh-four) by locals—is a 96-mile (154 km) outer beltway around San Antonio. US 87: Southbound to Victoria along Roland Avenue then Rigsby Avenue. It runs concurrent with I-10 for 52 miles (84 km) where it goes to San Angelo northbound. US 181: Starts 0.5 miles (0.8 km) south of I-410/I-37/US 281 interchange and heads toward Corpus Christi via Beeville. Prior to I-37 being built, US 181 traveled along Presa St. from Downtown to its current alignment. State Highway 130: Starting at its southern terminus at I-35 South, it travels along East S Loop 410 until I-10/US-90, where it runs concurrently with the interstate until outside of Seguin, turning into a state toll road. State Highway Spur 421: Also known more commonly as "Culebra Rd." and "Bandera Rd." inside Loop 410. State Highway Spur 422: Known as the Poteet Jourdanton Freeway. It was originally planned to have a high speed direct connection to I-35. State Loop 345: Fredericksburg Road by locals; is the business loop for I-10 West/US-87 North. State Loop 368: Broadway and Austin Highway by locals; is the business loop for I-35 North. State PA 1502 (Wurzbach Parkway): Limited-access, high speed road parallel to north IH-410. It has connections to I-35 (via O'Connor Rd.) and I-10 (via Wurzbach Rd.) across the north side of town. State Loop 353: Nogalitos Street and New Laredo Highway is the business loop for I-35 South. State Loop 13: Is the city's inner loop on the south side serving Lackland AFB, Port San Antonio, South Park Mall and Brooks CityBase traveling along Military Dr. on the south side and WW White Rd. on the east side to its junction with I-35/I-410. The northern arc of the loop is now I-410. "Military Dr.", "Military Hwy. ", and "Military Dr. West"—Military Drive loops around the western and southern parts of the city. Military Highway, also called "Northwest Military Drive" by the locals, serves the northwestern part of the city. Military Drive West serves the far western portion of the city. None intersect each other. "Wurzbach Rd. ", "Wurzbach Pkwy. ", and "Harry Wurzbach Rd. "—Wurzbach Rd. serves the northwestern part of the city. Wurzbach Pkwy., an expressway, is an east–west road serving the northwestern and northeastern parts of the city (and can be considered an extension of Wurzbach Rd.). Harry Wurzbach Rd. runs past Fort Sam Houston and Terrell Hills on the city's northeast side, and it does not intersect Wurzbach Rd. or Wurzbach Pkwy. "Hausman Rd." and "S. Hausman Rd." are two roads serving Helotes and the far northwest side of the city. Hausman is a major road, and a route used by locals of Helotes and NW San Antonio as an alternative to Loop 1604 connecting to I-10. S. Hausman is a suburban road that does not connect with Hausman (despite its name). San Antonio has about 136 miles (219 km) of bike lanes, routes or off-road paths. Off-road trails travel along the San Antonio River, linear greenways, or city parks. Although largely disconnected, the progress to create a bicycle-friendly environment was recognized when San Antonio was designated a bronze-level "Bicycle Friendly Community" in 2015 by the League of American Bicyclists. A bike sharing service was approved by the city council on June 17, 2010. The initial program consisted of 140 bikes at 14 locations supported by a "central hub". It is expected to serve both residents and visitors. San Antonio Bike Share, a non-profit, was formed to oversee the operation, locally operated and maintained by Bike World. B-Cycle, the same system used in Denver, supplies the bike share system. It began operation in March 2011. A 2011 study by Walk Score ranked San Antonio the 40th-most walkable of the fifty largest cities in the United States. With an average Walk Score of 33, San Antonio is one of the most car-dependent major cities in America. Movies predominantly filmed in San Antonio include Wings (1927), I Wanted Wings (1941), Viva Max! (1969), Sugarland Express (1974), Piranha (1978), Cloak and Dagger (1984) and Pee Wee's Big Adventure (1985). The 2014–2017 NBC television series The Night Shift took place in San Antonio, with its themes focusing on the city's medical and military presence. – Moguer, Spain (2018). Hometown of the founder Father Antonio de Olivares. ^ Bureau, U.S. Census. "American FactFinder - Results". factfinder.census.gov. ^ a b c Adina Emilia De Zavala (December 8, 1917). "History and Legends of The Alamo and Other Missions In and Around San Antonio". History legends of de Zarichs Online. p. 8. Retrieved June 2, 2014. ^ "LC Linked Data Service: Authorities and Vocabularies (Library of Congress)". id.loc.gov. ^ "Archived copy". Archived from the original on August 15, 2014. Retrieved 2013-07-01. CS1 maint: Archived copy as title (link), Census.gov – "American Factfinder" July 2014. ^ "San Fernando de Bexar". Chabot, Frederick Charles. Texas State Historical Association. Uploaded 15 June 2010. Retrieved 17 September 2017. ^ "The First Civil Settlement in Texas". Guerra, Mary Ann Noonan. Excerpted from The San Antonio River (The Alamo Press, San Antonio: 1987). Retrieved 17 September 2017. ^ "Population Distribution and Change 2000 to 2010". 2010 United States Census. Retrieved June 1, 2012. ^ "Incorporated Places of 100,000 or More Ranked by Numeric Population Change: 1990 to 2000". United States Census 2000. Retrieved June 1, 2012. ^ "San Antonio Annexation History" (PDF). Sanantonio.org\accessdate=12 July 2018. ^ "Comal GIS Map". Archived from the original on August 25, 2015. ^ a b Bureau, U.S. Census. "American FactFinder - Results". factfinder.census.gov. Retrieved 2018-07-09. ^ a b c Mach, Andrew (July 5, 2015). "San Antonio Missions among new UNESCO World Heritage Sites". PBS. Retrieved October 29, 2016. ^ "San Antonio: The City of St. Anthony". St. Anthony Messenger Magazine Online. Americancatholic.org. June 2004. Retrieved June 30, 2010. ^ Gonzalez, Juan. Harvest of Empire. Penguin, 2000. ^ Fisher, Lewis F. (1996). Saving San Antonio: the precarious preservation of a heritage. Lubbock: Texas Tech University Press. ^ "POPULATION DISTRIBUTION IN 2005" (PDF). United States Census Bureau. Retrieved June 10, 2017. ^ "The Roles of Geography and Climate in Forecasting Weather in South Texas". Theweatherprediction.com. Retrieved March 6, 2013. ^ "Climatemapusa2.PNG file- Wikimedia Commons". Commons.wikimedia.org. Retrieved March 6, 2013. ^ a b c "San Antonio Climate Summary" (PDF). National Weather Service. Retrieved August 19, 2010. ^ "San Antonio Suffers Worst Snowfall". Schenectady, New York: Schenectady Gazette, via Google News. United Press International. January 12, 1985. ^ "Record Snow Buries San Antonio". Associated Press. The Philadelphia Inquirer. p. A3. ^ "San Antonio, Texas "One of the most flood-prone regions in North America"". ^ "South Central Texas June 30-July 7, 2002". Flood Safety Education Project. ^ "Tornado rakes S.A. neighborhood". Mysanantonio.com. Retrieved 12 July 2018. ^ "San Antonio Bexar County Texas Tornado History and Damage Risk Grade". ^ "MONTHLY/ANNUAL/AVERAGE PRECIPITATION SAN ANTONIO, TX (1871–2010)" (PDF). National Weather Service. Retrieved June 3, 2012. ^ "NowData - NOAA Online Weather Data". National Oceanic and Atmospheric Administration. Retrieved 2016-06-20. ^ "Station Name: TX SAN ANTONIO INTL AP". National Oceanic & Atmospheric Administration. Retrieved 2014-03-27. ^ "WMO Climate Normals for SAN ANTONIO/INTL, TX 1961–1990". National Oceanic and Atmospheric Administration. Retrieved 2014-03-10. ^ "Average Weather for San Antonio, TX - Temperature and Precipitation". The Weather Channel. Retrieved 2010-04-20. ^ "San Antonio, Texas, USA - Monthly weather forecast and Climate data". Weather Atlas. Retrieved 11 March 2019. ^ "American FactFinder". Retrieved May 25, 2018. ^ "1990 Population and Housing Unit Counts: United States (CPH-2)" (PDF). Retrieved August 11, 2008. ^ a b "San Antonio (city), Texas". State & County QuickFacts. U.S. Census Bureau. Retrieved August 5, 2017. 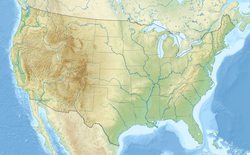 ^ Census 2000: Incorporated Places of 100,000 or More, Ranked by Population, U.S. Census Bureau. ^ a b Census 2000: Metropolitan Areas Ranked by Population, U.S. Census Bureau. ^ "Austin-San Antonio corridor is one of the nation's best for this hot job sector". CultureMap Austin. Retrieved 2018-07-10. ^ Kotkin, Joel. "America's Next Great Metropolis Is Taking Shape In Texas". Forbes. Retrieved 2018-07-10. ^ American FactFinder, United States Census Bureau. "San Antonio city, Texas - ACS Demographic and Housing Estimates: 2006–2008". Factfinder.census.gov. Retrieved June 30, 2010. ^ a b c d "Religion in San Antonio, TX". bestplaces.net. Retrieved 2018-08-01. ^ a b "San Antonio (Latin (or Roman) Archdiocese) [Catholic-Hierarchy]". www.catholic-hierarchy.org. Retrieved 2019-02-21. ^ "Faith Takes A Stand In San Antonio". Retrieved 2018-08-29. ^ San Antonio Tourism, SanAntonioRiverwalk.com. Retrieved January 7, 2007. ^ "The Economic Impact of San Antonio's Hospitality Industry" (PDF). Sanantoniotourism.com. Archived from the original (PDF) on October 11, 2017. Retrieved July 12, 2018. ^ "Fortune 500 2009: States: Texas Companies". CNN. Retrieved May 23, 2010. ^ "America's Largest Private Companies". Forbes.com. August 1, 2017. Retrieved August 1, 2017. ^ "Best Places For Business and Careers – Forbes". Forbes. Retrieved March 30, 2016. ^ "Welcome to the City of San Antonio Economic Development Department-Index". Sanantonio.gov. Retrieved June 30, 2010. ^ Nowlin, Sanford. "Aquila bids for sale or merger." San Antonio Express-News. March 11, 1998. Business 1E. Published in: Polishuk, Paul. Utilities Telecommunications News. Information Gatekeepers Inc. 8-9. Retrieved from Google Books on July 21, 2010. ISSN 1079-2937. ^ Popik, Barry (December 20, 2007). "Alamo City (San Antonio Nickname)". The Big Apple. ^ "Destination SA Update 2011" (Report). San Antonio Area Tourism Council. San Antonio Area Tourism Council. March 2012. ^ Gordon Hartman (July 25, 2015). "Every Day, Morgan's Wonderland is ADA". San Antonio Express-News. ^ Reinagel, Joe. "San Antonio Commanders coach, GM share excitement about first season". KENS. Retrieved 12 October 2018. ^ "Welcome to the 2009 U.S. Army All American Bowl". Usarmyallamericanbowl.com. Retrieved June 30, 2010. ^ "CITY OF SAN ANTONIO" (PDF). Sanantonio.gov. ^ Extraterritorial Jurisdiction Boundary (PDF), City of San Antonio Planning Department. July 28, 2006. ^ San Antonio Master Plan, Public Studio (San Antonio Chapter American Institute of Architects); retrieved January 7, 2007. ^ San Antonio Trends, Challenges, and Opportunities (PowerPoint), City of San Antonio Planning Department. Retrieved January 7, 2007. ^ Three-year Annexation Plan; (PDF) format, City of San Antonio Planning Department, January 6, 2006. ^ "San Antonio agrees to release ETJ to Schertz". Mysanantonio.com. May 6, 2010. Retrieved July 12, 2018. ^ Parole Division Region IV Archived September 4, 2011, at the Wayback Machine; Texas Department of Criminal Justice; retrieved on May 21, 2010. ^ San Antonio TDT District Office. Texas Department of Transportation; retrieved on January 11, 2010. ^ "Bexar County School Districts". Bexarcountytexas.us. March 30, 2008. Archived from the original on December 30, 2012. Retrieved April 20, 2013. ^ "This Texas City Is America's Next Great Culinary Destination". Foodandwine.com. ^ "La Prensa de San Antonio Closes its Doors After 29 Years". Therivardreport.com. ^ Designated Market Areas Archived May 17, 2006, at the Wayback Machine, Nielsen Media Research. ^ "210 TV, San Antonio's First Internet Television Network". 210tv.com. ^ "Calendar Year 2014 Passenger Boardings at Commercial Service Airports" (PDF). Federal Aviation Administration. p. 1. Retrieved November 19, 2015. ^ "VIA Metropolitan Transit". Viainfo.net. ^ "Amtrak's Texas Eagle | Welcome aboard!". Texaseagle.com. Retrieved June 30, 2010. ^ "Sunset Station San Antonio near the Convention Center, Alamo and River Walk Hotels". Sunset-station.com. Retrieved June 30, 2010. ^ "Nancy Beck Young, "San Antonio, Uvalde and Gulf Railroad Company"". Texas State Historical Association on-line. Retrieved April 28, 2013. ^ "Hugh Hemphill, "San Antonio Uvalde and Gulf Railroad"". txtransportationmuseum.org. Retrieved April 28, 2013. ^ Transportation Planning and Programming Division (n.d.). "State Highway Loop No. 345". Highway Designation Files. Texas Department of Transportation. ^ Transportation Planning and Programming Division (n.d.). "State Highway Loop No. 368". Highway Designation Files. Texas Department of Transportation. ^ Transportation Planning and Programming Division (n.d.). "State Highway Loop No. 353". Highway Designation Files. Texas Department of Transportation. ^ "Bicycling proposals gear up". Mysanantonio.com. ^ Barth, Jack (1991). Roadside Hollywood: The Movie Lover's State-By-State Guide to Film Locations, Celebrity Hangouts, Celluloid Tourist Attractions, and More. Contemporary Books. Page 63. ISBN 9780809243266. ^ "NBC Announces Fall Premiere Dates for New Season". The Futon Critic. June 21, 2013. Retrieved July 3, 2013. ^ a b c d e f g h i j Sister Cities Program. Sainternationalrelations.org. Retrieved on December 11, 2011. ^ "Sister Cities, Public Relations". Guadalajara municipal government. Archived from the original on March 2, 2012. Retrieved March 12, 2013. ^ "Mayor announces Chennai, India Sister City Agreement". Sanantonio.gov. February 28, 2008. Archived from the original on 2011-07-21. Retrieved June 30, 2010. ^ "Windhoek becomes first San Antonio Sister City in Africa, 10th total". Sanantonio.gov. ^ "Sister Cities Program". Sainternationalrelations.org. ^ "News in web town hall of moguer". ^ The Greater San Antonio Chinese Chamber of Commerce - Wuxi and Suzhou Are Friends with San Antonio Archived January 3, 2011, at the Wayback Machine. Gsaccc.org (May 28, 2010). Retrieved on December 11, 2011. ^ San Antonio mayor boosts ties with Israel | JTA - Jewish & Israel News Archived July 18, 2011, at the Wayback Machine. JTA (July 14, 2011). Retrieved on December 11, 2011. This page was last edited on 15 April 2019, at 03:17 (UTC).